HIGH speed craft builder Incat says it has delivered its latest large fast ferry, a 110 metre catamaran for Virtu Ferries of Malta. Incat Hull 089 left Hobart Tasmania early this month and is expected to arrive in Malta before March where it will sail under the name of Saint John Paul II . It is also the sixth in excess of 5500 gross tonnes. Incat chairman Robert Clifford along with Incat executives were joined in Hobart by Virtu Ferries executives Francis Portelli and Matthew Portelli to see the Saint John Paul II off on its delivery voyage. The voyage will see the catamaran cross the Indian Ocean and then sail to Malta by way of the Red Sea and the Suez Canal. “The 110 metre wave piercing catamaran, one of the largest, and most revolutionary built by the yard is the first Incat newbuild vessel to join the Virtu fleet,” Mr Clifford said. Incat CEO Tim Burnell said Incat was an evolving product. “Using the latest computational fluid dynamics and hydrodynamic free-running model test techniques, the well proven Incat Wave Piercing Catamaran hullform has been further developed for Mediterranean winter conditions,” Mr Burnell said. 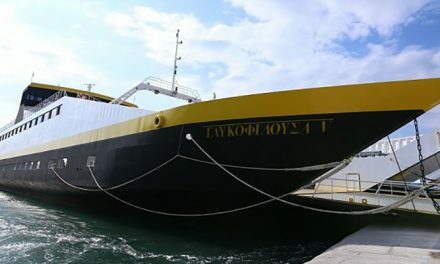 At 1000 tonnes deadweight, the vessel is said to be the largest ro-pax catamaran built for operation in the Mediterranean and the second largest in the world. It has capacity for 900 passengers on two decks and additional outside seating on both upper and lower passenger levels. 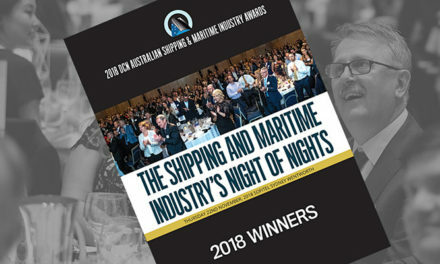 On speed trials off the southern coast of Tasmania Saint John Paul II achieved speeds in excess of 38 knots running at 85% power and ballasted to 600 tonnes deadweight.